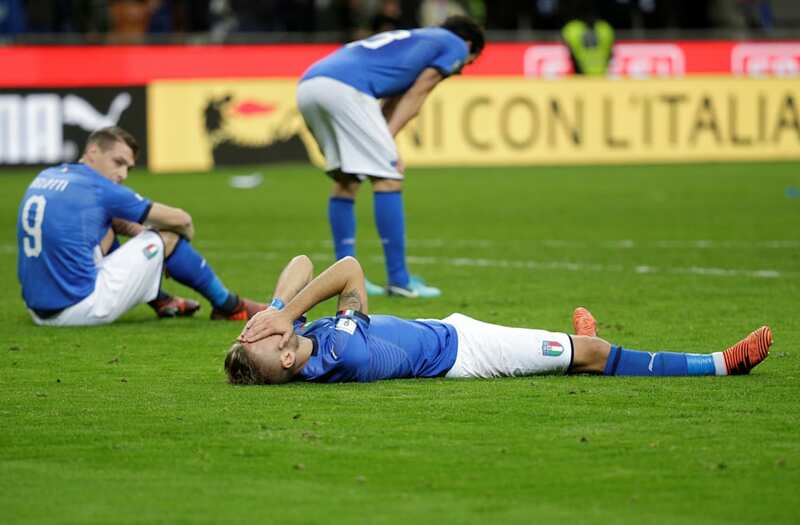 MILAN (Reuters) - Italy failed to qualify for the World Cup for the first time in 60 years after being held to a 0-0 draw at home to Sweden who booked a place in Russia with a 1-0 aggregate win on Monday. Italy, who had not missed the World Cup since the 1958 tournament in Sweden, penned the visitors into their own half for most of the game and created a hatful of chances but could not find a way past Robin Olsen in the Sweden goal. The closest the hosts came to scoring was a Ciro Immobile effort which was partially stopped by Olsen and cleared away by Victor Lindelof as it was about to trickle over the line.